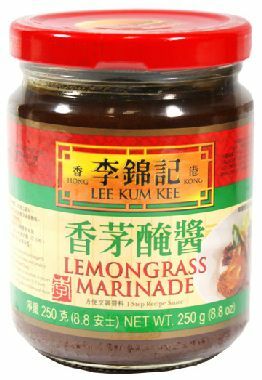 Minimum quantity for "Lee Kum Kee Lemongrass marinade 250g" is 1. A ready to use marinade flavoured with superb lemongrass flavour, perfect for meats and poultry. 1. use 60g lemongrass marinade to marinade 6 pieces of pock chop for 1/2 hour. 2. pan fry pork chop in oil until golden yellow.